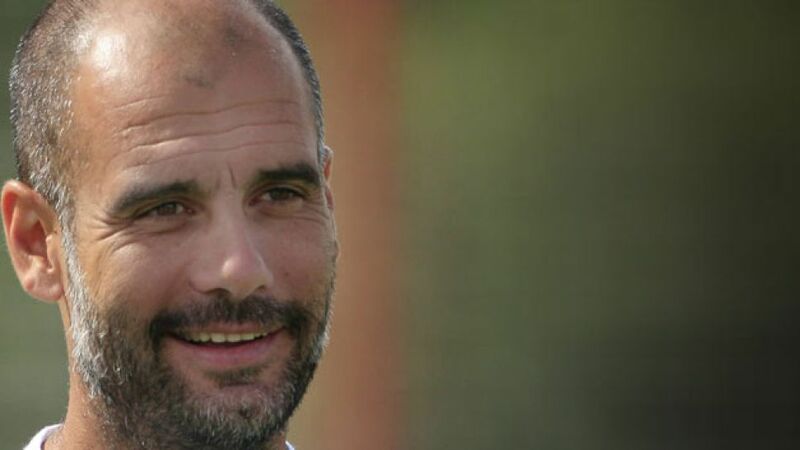 Munich - His German may still be a bit rusty, but Pep Guardiola's message was clear and, perhaps worryingly for the rest of the Bundesliga, the Catalan head coach was unerring in his belief that FC Bayern München can improve in his second season. Widely regarded as one of the forward-thinking tactical masterminds of the modern game, the Spaniard offered a rare insight into his thought process for the Münchner's first title defence of his tenure. Insisting Bayern would not need a like-for-like replacement for Toni Kroos, Guardiola once again underlined Philipp Lahm's importance to Bayern's progress. Unwilling to rock the boat in his first campaign with a treble-winning squad, Guardiola, at times criticised for his lack of a 'Plan B' last season, shocked many when he switched to a three-man as opposed to four-man back line for the DFB Cup win over Borussia Dortmund. On the personnel front, French wing wizard Franck Ribery is expected to return in time to feature in the Telekom Cup, which pits the Reds against Borussia Mönchengladbach in the semi-finals. "Franck has found his rhythm," claimed Guardiola. "He's completed two or three training sessions. I think he'll definitely get a few minutes under his belt."